Gill Henderson, RIP. [Updated with funeral details] | Pilgrims Live! 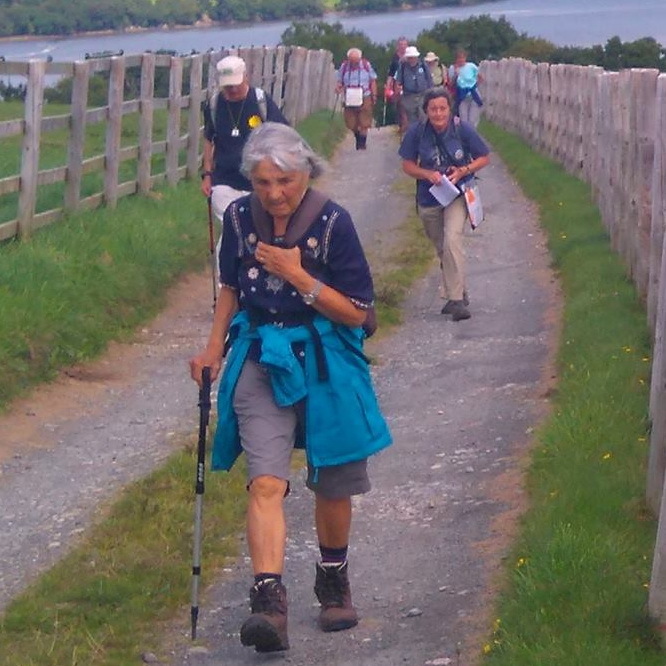 This morning we have received the sad news that Gill Henderson, one of our oldest pilgrims, died at 19:30 yesterday. Gill and her husband Derek first walked with us in the mid 2000s, and after Derek’s death Gill continued to join us each year. Gill was an inspiration to us all. I remember a prayer stop several years ago where she gave a moving reflection, talking about life in Italy at the end of WWII, when the treatment of supposed collaborators was potentially worse than anything suffered during the war. I’m sure others will have their own memories to share. May she rest in peace, and our condolences to her family. Gill’s funeral will be held at St Peter’s Church, Portland Road, Hove at 12 noon on Thursday 13th September, followed by burial at the cemetery in Old Shoreham Road, Hove. Father Jerry will officiate. May she rest in peace ..God’s blessing on her family . I am so sad to hear this news – Gill was always such a strong supporter of the pilgrimages and loved the company. She could outwalk others half her age. I thought of her as the “Duracell bunny”: start her up and watch her go! God bless you Gill and rest in eternal peace. So glad that you were able to arrange a reunion in your area, now Rest in the Peace of the Lord. Thinking of you and all your family. I’m sorry to hear of Gills death. It always amazed me how she, ( and several other ladies of a similar age ) could keep up with us “youngsters “ and never complained about the miles. I trust her final footsteps lead her to her wishes.